Cost of Toyota safety violations: 0. Cost of paperwork violations: $1.2 billion. Toyota has agreed to pay $1.2 billion and submit to federal oversight for three years to resolve Justice Department charges that it withheld information at the height of a 2009 national media furor. Walter Olsen tore strips of the Feds last week, in a withering WSJ piece last week. “In 2011,” he continues, “the National Highway Traffic Safety Administration (NHTSA) published a thorough study by its engineering staff of the claims of unintended acceleration (UA) in Toyotas. The law of unintended consequences is that actions of people—and especially of government—always have effects that are unanticipated or unintended. Economists have respected its power for centuries; for just as long, politicians and popular opinion have largely ignored it. Might the Justice Department’s harsh, indeed, in Olsen’s eyes ‘unjust’, treatment of Toyota have unintended consequences? 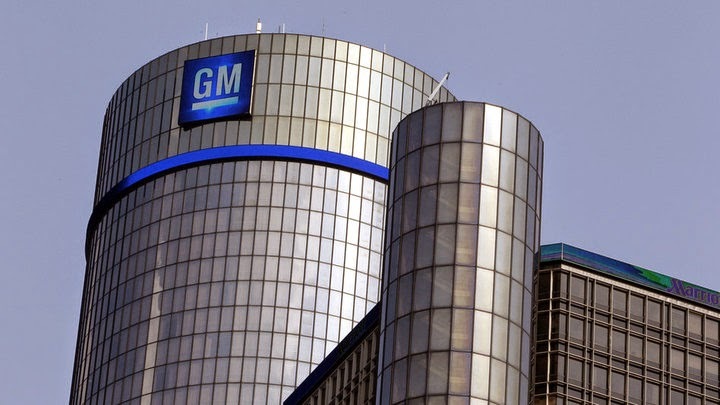 Faulty ignition switches in low-priced GM cars like the Chevrolet Cobalt and Saturn Ion have been linked to at least 13 deaths. CEO Mary Barra has admitted GM's safety processes were lacking, and she has brought in an outside attorney to review them. The Feds poured $ 50 billion dollars into GM’s bailout and until very recently were its largest shareholder. If Toyota’s paperwork violations trigger a $1.2 billion fine, what’s the fine for genuine safety violations that have taken 13 lives and counting? Over to you, Mr. Holder.